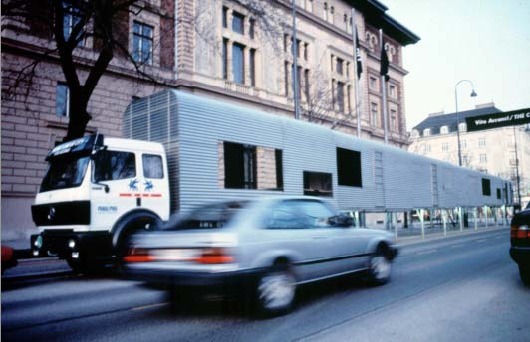 To Acconci's disappointment it is now dismantled and storage in Vienna. The artist built portable housing that can be replicated to become an entire 'city'. A semitrailer truck carries six self-contained housing units that can be telescope down into one compact module for hauling, to be set up wherever housing is needed. There are five living units, each essentially a studio apartment with a last unit housing shared utilities. 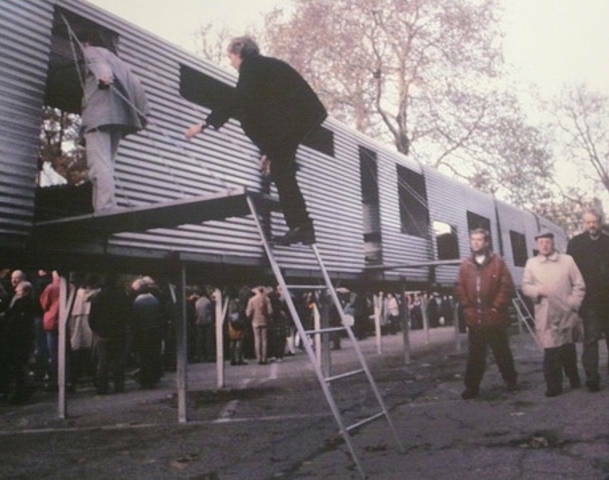 The artist had hoped it would become a lived-in 'traveling city', but soon he realized that it was not possible due to problems of legal responsibility, permits etc. People could live in a 'traveling city'.